Happy 2017! 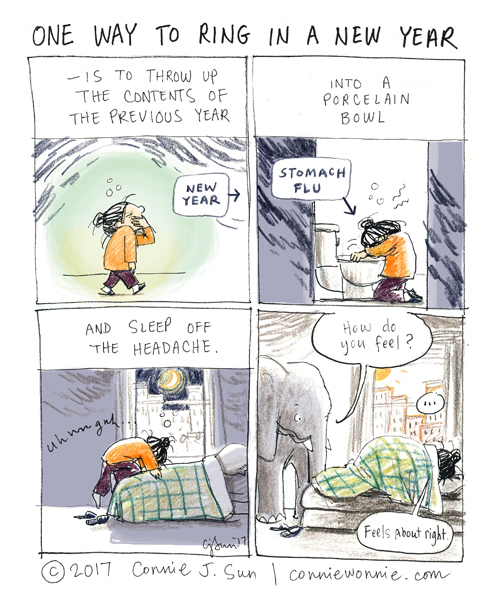 Longer hiatus than intended, but fully recovered from a perfectly-timed flu. I just love your drawing style. I also really like the instrospective feel of your comics. Aww feel better (hugs),, emma of staten island , nyc.